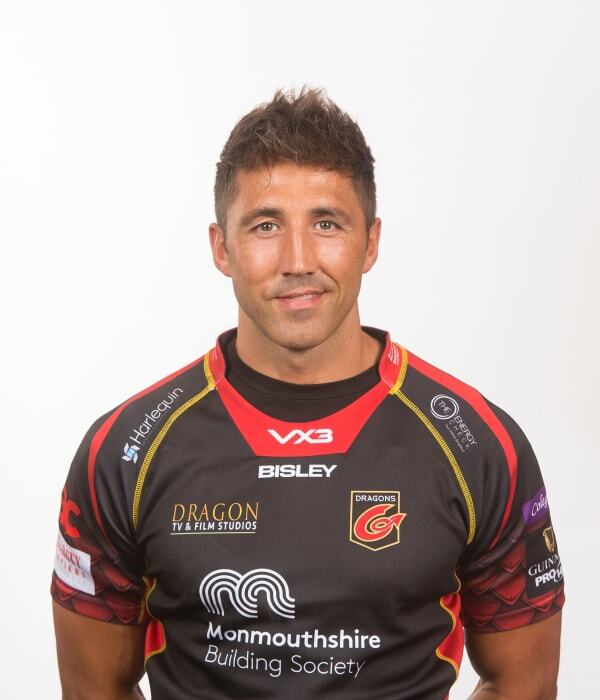 Gavin Henson joined the Dragons in the summer of 2017, after agreeing a two-year deal to return to Wales from Bristol Bears. The British & Irish Lion, who toured in 2005 to New Zealand, achieved Grand Slam success with Wales in the Six Nations Championship in 2005 and 2008. The versatile back, who can operate as fly-half, full-back or centre, has also had playing spells at Ospreys, Saracens, Toulon, Cardiff Blues, London Welsh and Bath.